KANSAS CITY, KAN. ----- Kansas City Kansas Community College’s Admissions and ESOL Departments recently worked together to promote the college and its programs at a community event. 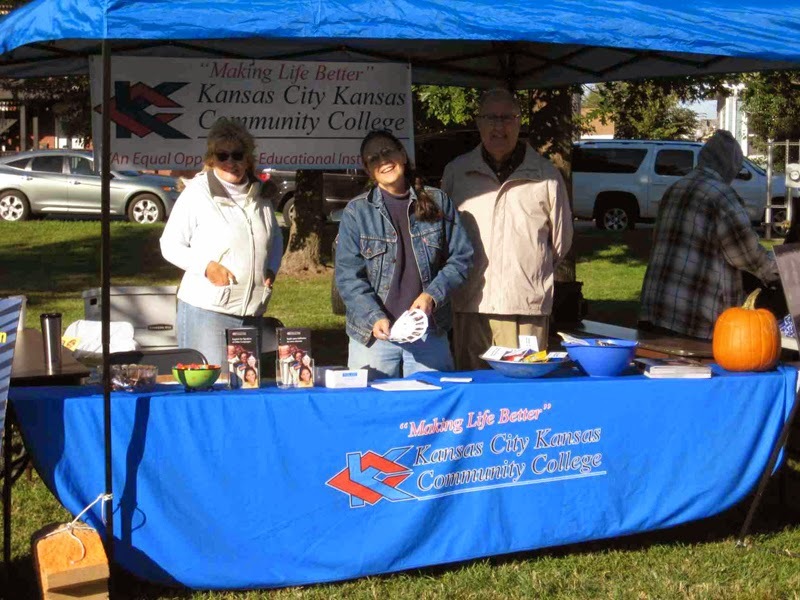 KCKCC was represented at the Silver City Day Celebration Oct. 4 in the Argentine Neighborhood of Kansas City, Kan. Argentine was incorporated as a city in 1882 and was then annexed by Kansas City in 1910. The name “Silver City” is a nod to the area being home to one of the largest smelting operations in the United States, which specialized in the production of silver. The Silver City event is a way to celebrate the neighborhood’s history as well as the achievements of the community. In addition to booths and activities, the Silver City Celebration including a parade with floats and high school bands, among other participants as well as live entertainment. In addition to handing out literature, the KCKCC staff spoke with individuals interested in not only enrolling in the ESOL program but taking classes at KCKCC in the future. For more information on the Silver City Day event, email silvercityday@gmail.com. For more information on KCKCC’s ESOL program, call 913-288-7625.